The voluminous comments to Peters’ article, mostly on iPad vs Kindle, are interesting, with many heated opinions and citing of tech issues like dpi, bit depth, resolution and contrast. The arguments give an indication of how little scientific proof there is on what makes text readable/legible — Seems to be a case of who can shout the loudest! 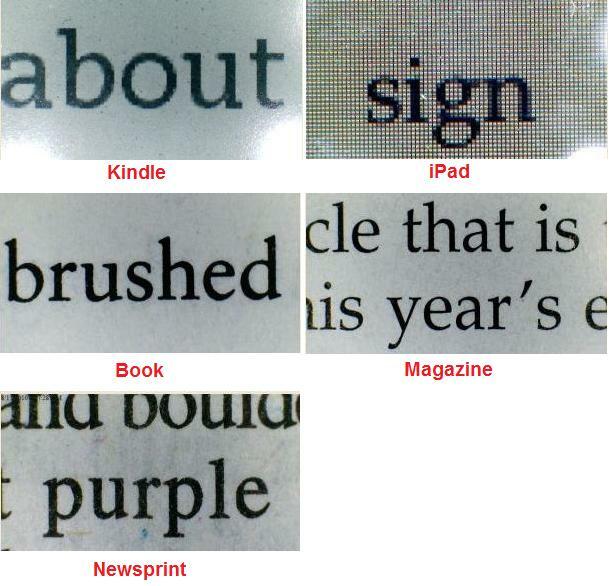 Not only is it difficult to define clear criteria to judge text on computers and eReaders, it’s also surprisingly difficult to find evidence about text on print vs computer — Googling for subjects like readability screen and readability screen print turn up little that’s relevant (Please email me if you’re a better googler than I am!) In Wikipedia, the most relevant subject seems to be Typography, but it also doesn’t speak much to the issue of print vs computer. Posted in eBooks, iPad, Kindle, Magazines, PicsYes, Publishing, Uncategorized. Scott Stein at CNET wrote yesterday about what he calls iPad App fatigue — the growing realization, after the first flush of iPad interest, that there aren’t many good iPad apps. This fits nicely with articles I’ve seen in the last couple of weeks suggesting that the primacy of Apps-Thinking is a holdover from the iPhone, where it IS valuable to have a separate app to tailor information for a small screen. But people are realizing that the iPad screen is big enough that it’s not necessary to have a separate app, that most web sites do just fine with the iPad’s Safari browser. Denton has looked at some of the news-media apps and says he’s unimpressed. … “I loved the look of the Time app, but then I tried to select and copy a paragraph to send to a friend. I did the action automatically, without even thinking.” And guess what? You can’t do that. “You can’t e-mail. You can’t bookmark. It made me realize how much the experience of reading has changed. Nobody really just reads anymore. They copy text, send links, tweet,” Denton says. Dan Frommer, in a follow-up article, captures Lyons & Denton’s thoughts with his snappy title: Hey, Media Companies, The ‘Boring Old Web’ Is Way More Important Than Your Crappy iPad App. The first problem with the publishers’ fantasy … is that you don’t need those cute little apps to read newspapers and magazines. On the iPhone, apps bring real advantages—it’s no fun navigating a complex Web page through that 3.5-inch window. The iPad, by contrast, has a 9.7-inch display that is big, bright, and beautiful. The Safari browser is a great way to read any publication on the device, so long as you have a good WiFi connection. What surprises me most after a few weeks playing with the iPad is that the browser is so good. So good, in fact, that I don’t bother with apps from news organizations, or most anybody else. The iPhone taught us that the browser was only to be used in extremis and apps were king, but the iPad reverses that. Posted in iPad, Magazines, PicsNo, Publishing, Safari, Uncategorized. The three articles linked in these tweets, on eMagazines, eReaders, and eBooks, have the common theme that the digital world is very much in flux, that old formats are likely to change in unpredictable ways. I think this is especially true in the case of picture-laden magazines –The experience of reading an article on the Web that combines text and pictures is pretty much the same, be it on a blog, news source, miscellaneous webpage, or part of a “magazine.” So I’d guess that “magazines” will fairly soon disappear as a category separate from other Web sources. The category of “books,” on the other hand, I think will take longer to lose its meaning – For now, the experience of reading a book is quite similar whether its in paper or online — The game-changer for the “book” category will be when eBooks become connected to each other so they all blend into the ocean of the Web. Posted in eBooks, Magazines, PicsNo, Serendipity, Twitter, Uncategorized. 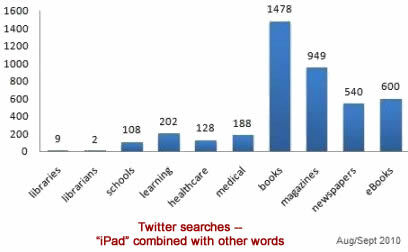 This is a subset of my list that has all titles as of November, 2009, when Google announced that they would provide their own list. The titles below are my subjective picks, based on generality of interest and/or length of availability. Posted in Google, Magazines, PicsNo, Uncategorized. 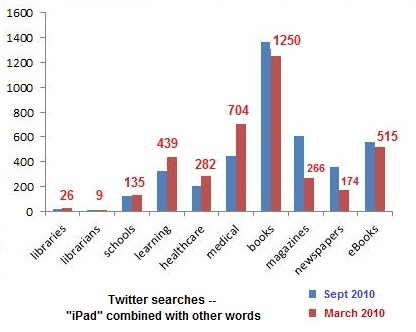 Steve Jobs’ Legacy: To Save Publishing with the Tablet? If he is looking for One Last Thing, saving journalism would be the Holy Grail. 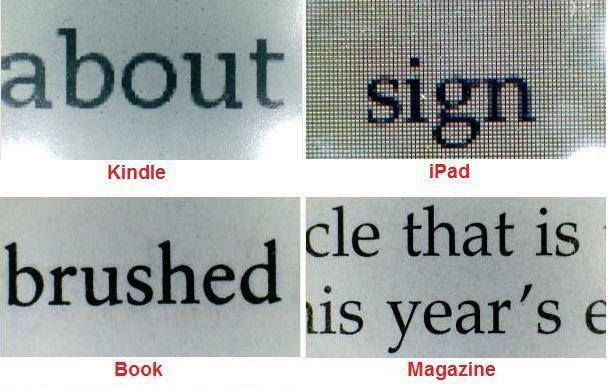 … The device will have to make readers forget — really forget — the printed page. 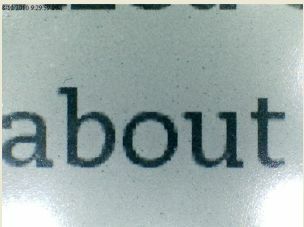 E-readers, for all that they do, don’t do this yet. Even given this track record — and what we choose to believe is the all-trumping motivator of perfecting his legacy — a device-centric initiative that saves newspapers and magazines that seem to be in perpetual, some say irretrievable, decline, sounds next to impossible. But is anybody seriously willing to bet against the house — of Jobs? Posted in Apple, eBooks, Magazines, PicsNo, Publishing, Steve Jobs, Uncategorized. The recently announced addition of thumbnail navigation to Google Book Search is, unfortunately, only available for full-view. But all magazines in GBS are full-view, so thumbnails are especially useful for them, since [because] they have so many pictures. To use thumnails, go to Read this Magazine (or Book), and click the 4-square grid in the top row of icons (shaded below). 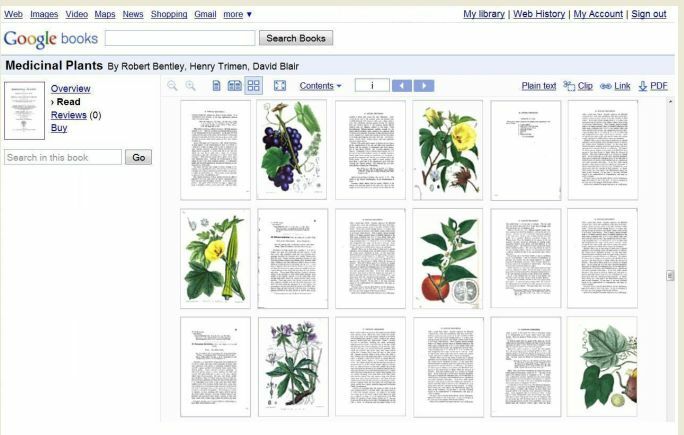 There are relatively few public-domain, full-view books with pictures in GBS, but thumbnail view is valuable for them, to get a quick overview of the proportion and nature of the pictures, as shown in the example below. Posted in Google Book Search, Magazines, PicsYes, Pictures, Thumbnails, Uncategorized. 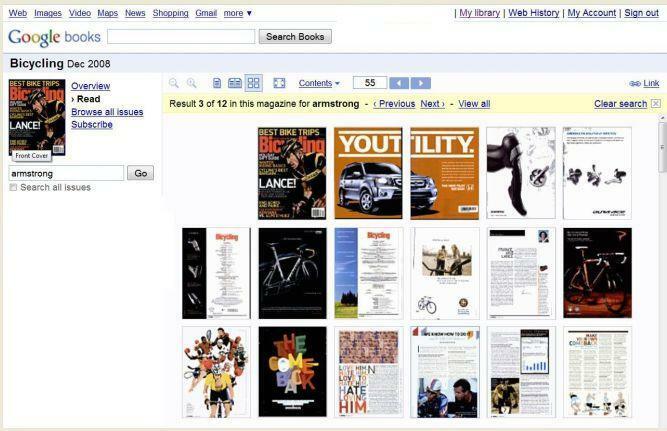 In Dec, 2008, Google announced that they had begun adding recent popular magazines to Google Book Search. Because Google, inexplicably, chose not to provide a list of titles that were included, I made a list of about 40 titles, and until recently I hadn’t added to it, assuming that Google hadn’t added any more titles, since none had appeared on the Google Book Search home page. Recently, though, I saw in Twitter that people were mentioning new titles, so I did some searching to see if I could find more. And indeed, I did find about 10 new titles that have apparently been added recently, and I’ve added these to the list at Google Magazines – Titles. A suggestion: If you find an interesting new magazine title in Google Book Search, put it in Twitter, and include the hashtag that I just created, #gbsmag (Clicking this will retrieve tweets in Twitter Search, with examples from the new titles I recently found). If you don’t use Twitter, of course, feel free to put new magazine titles in a comment to this article. Posted in Google, Magazines, PicsNo, Twitter, Uncategorized. Adam Hodgkin, in Google Pictures and Google Books, wonders why Google has chosen to put Prado paintings in Google Earth rather than in Google Images. In December I asked a similar question about Google’s putting Life Magazine pictures in Google Images, but putting other picture-laden magazines in Google Books. And, in another recent launch they’ve put newspapers, which also have many pictures, in Google News. Once again I come back to the theme of this blog — Pictures are just different — They don’t fit neatly into our categories. Pictures are an important part of several different media — books, magazines, newspapers, and (of course) art — So what slot do we put them in? Even before the recent questions arose with Life Magazine pictures, Google Magazines, Google Newspapers, and Prado paintings, there’s the ongoing, but little-noted question of pictures in the growing collection of public domain books in Google Books. In my experience, these are completely absent from Google Image Search — When will Google make this connection? Figuring out what category to put them into, of course, is a relatively minor problem compared to the BIG PROBLEM with pictures, which is making them searchable! If there was one category to put them into that was searchable, then of course that would be the place for Google to put them! Posted in Google, Google Book Search, Image Search, Magazines, Newspapers, PicsNo, Pictures, Uncategorized.